Compact offers a complete line of small, powerful and repairable products for all of your actuation needs. 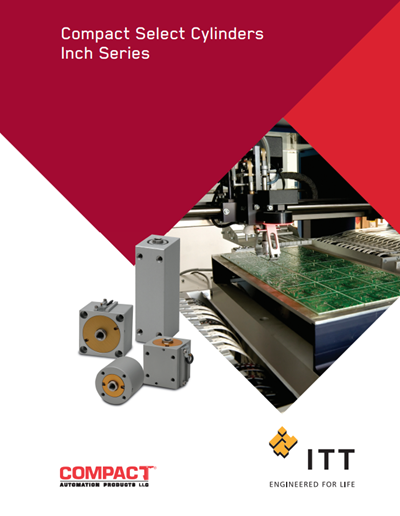 Compact Automation Products belongs to the ITT family of companies. With a dedicated focus on technical solutions to your specific application needs we can supply you with the latest technologies in Hydraulic Cylinders for linear motion and force, Air Cylinders for pneumatic linear reciprocating motion and Linear Actuators that can use different mediums to achieve straight line motion control. With bore sizes from 8mm to 8 inches and forces up to 5,000 pounds, our small but powerful products are some of the easiest to repair in the field. We also specialize in customizing and modifying standard cylinder designs to fit your specific application requirements. 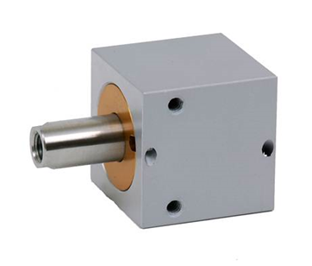 Features: Compact actuators available in square or round body with bores starting at 3/4" up to 8" depending on the body type. A space efficient design for applications where cylinder size matters. Compact Automation is a custom cylinder manufacturer that delivers more many of its finished products in custom and special configurations. Custom cylinders are available with rapid lead-time from concept to final product. They can take your custom cylinder design and create an innovative, cost effective solution for you. As a custom cylinder supplier, Compact Automation leads the industry with custom pneumatic and custom hydraulic cylinders. Compact Automation employs a staff of design and production engineers with many years of custom product design-build experience to assist you.